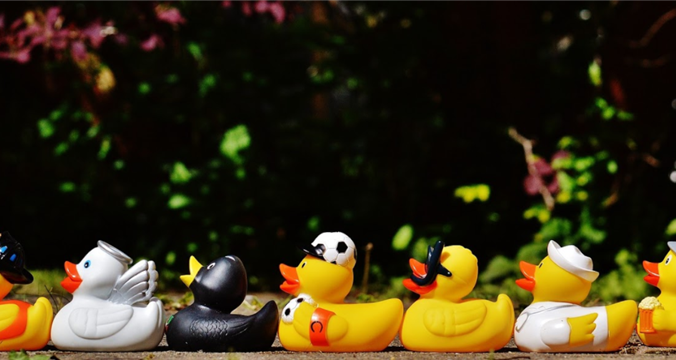 Letters of Recommendation: "Getting Your Ducks in a Row"
When you have decided which recommenders to ask, approach each of them individually and in person to ask for the recommendation. Ask your teacher or professional contact if she can give you a very positive recommendation. If she says she cannot, move on to another teacher. Do not beg. A lukewarm recommendation is no favor to your file. If your recommender agrees, give her a file you have put together that has your transcript, your class rank (if available), a document describing the work you did in her class (with an emphasis on any special projects or awards), your resume and a copy of your college essay(s). It is also a huge help to include a note that tells your teacher what your main interests and accomplishments have been in high school. She may know you play the trumpet, but she might not know you were first chair for three years and played with the college band for two years. Also describe what you want to study in college. This will help your teacher write about you as a full person in addition to her experience of you in her classroom. Finally, it is your responsibility to get your letters of recommendation to the schools on time. Give your recommenders at least a month and preferably two to get letters out. So if you are applying in December, ask your teachers in October. If you don’t have letters submitted two weeks before the deadline, you can nudge your teachers gently. This is on you, not them, so stay on top of it!